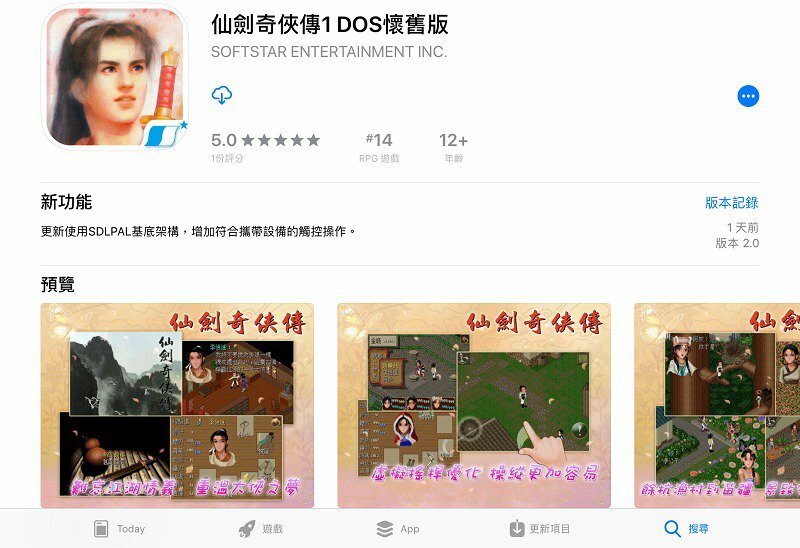 XianJian QiXia Zhuan 仙劍奇俠傳 (also known as Legend of the Sword and Fairy and “PAL”) is an action RPG created by Taiwan’s Softstar Entertainment Inc. 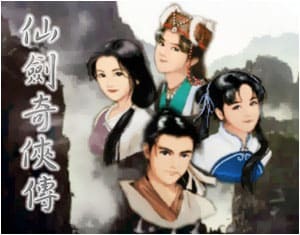 The game is considered by many as simply one of the best Chinese RPG ever created. Since its first release in 1995 (DOS Version), many new versions and sequels (including a prequel) were created. However, none could replace the breath-taking and tragic tale it was born from. 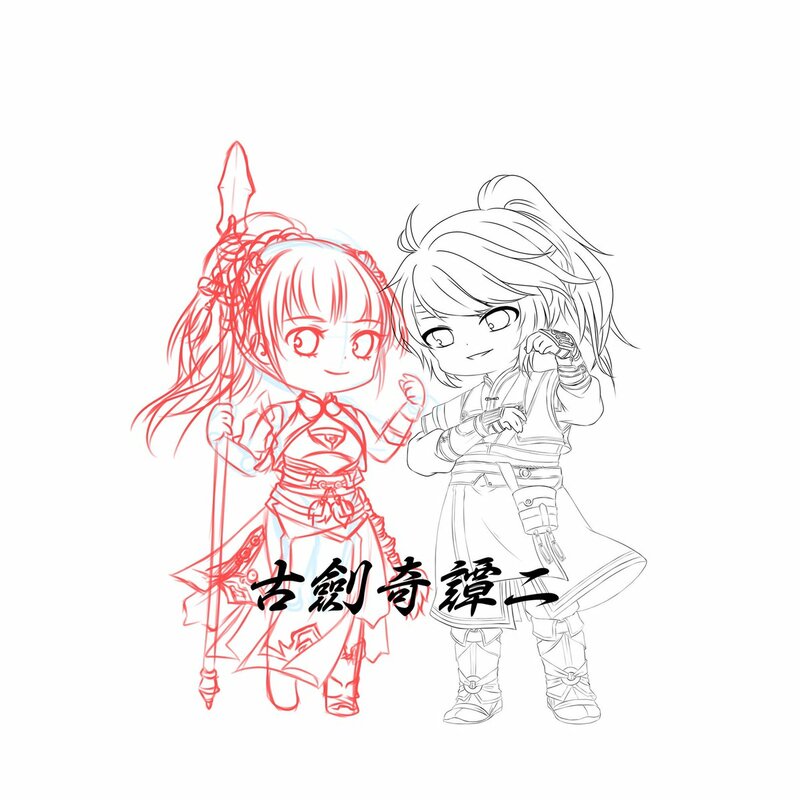 Here, we meet our protagonist Li Xiaoyao; an aspiring martial artist and the lovely Zhao Ling’er, a charismatic Nuwa descendant. The game does not have an official English release but fans are working on a translation project. 19 year old Li Xiaoyao lost his parents at a young age and was raised by his aunt. When Li’s aunt falls ill, Li embarks on a quest to seek a legendary fairy, who lives on a nearby island, for help. The fairy is called Zhao Ling’er, a 16 year old maiden who lives with her grandmother in a hidden palace on the island. Initially, Zhao is reluctant to help Li, but being an orphan herself as well, she is touched by Li’s pleas and gives him some magical medicine. Due to many events on the island after Li receives the medicine, he marries Zhao. He promises to return after he brings the medicine back to his aunt, and bids Zhao farewell for now. After Li gives his aunt the medication, he faints and loses his memory because he was given a memory-loss pill before he left to the island by a man who was planning to penetrate Zhao’s island. 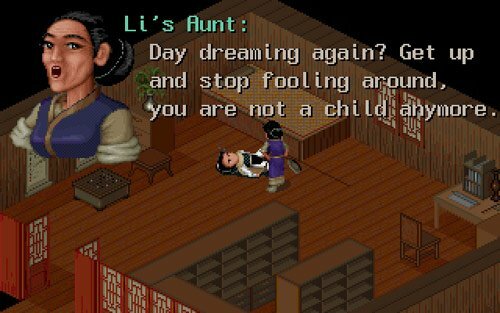 Li’s aunt recovers, and forgets that she was sick as well. However, Li had already unknowingly broken the spell concealing the location of the palace during his journey there. Zhao’s enemies break into the palace and kidnap her after a bloody battle. Li finds Zhao and saves her. He does not remember her but promises to help her return to the island and help the people remaining there. The duo returns to the palace to save her grandmother but fail to do so. With her dying breath, Zhao’s grandmother reveals that Zhao’s mother may still be alive and entrusts her granddaughter to Li’s care. When they return home, Li’s aunt finds out about Li’s marriage with Zhao from Ling’er, and thus tells her nephew to take Zhao together with him to find Zhao’s mother. Li’s aunt’s plan is that when Li finds Zhao’s mother, he will ask her for Zhao’s hand in marriage, and be married officially. She has no idea that Li Xiaoyao does not remember Zhao. The two of them set off on their journey. 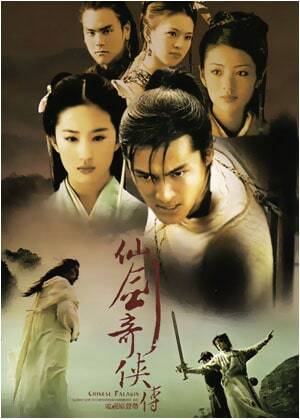 Due to the game’s popularity & large fan base, a TV drama was produced in 2004 and was titled “Chinese Paladin”. New actor Hu Ge 胡歌 takes the role of protagonist Li Xiaoyao, and Zhao Ling’er is played by Crystal Liu Yifei 劉亦菲, where the characters are brought to life. It is generally faithful to the game, however there were many additions as well as changes made in terms of both the personality of characters and relationships. Some fans were outraged by the change in Zhao Ling’er’s character which was altered in a less favourable way. Nevertheless, the couple stay true to each other and it could be argued their love has never been stronger.